Unused and expired pharmaceuticals are a public safety issue, with the potential to lead to poisoning, overdose, and abuse. If they are disposed of in the trash, they may be retrieved and taken by children or pets, and if they are disposed of in the toilet, they can contaminate drinking water. 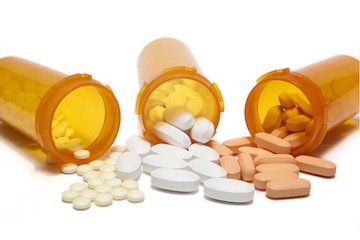 Proper use, proper storage and proper disposal are key elements in reducing prescription drug misuse and abuse. 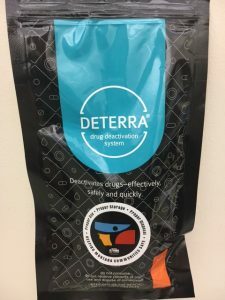 Gallatin City-County Health Department has a one-time, limited supply of Deterra Medication Disposal Bags available at no charge. These bags are a solution to proper disposal of medications for rural Montana families lacking access to medication drop-boxes. This simple disposal process renders potentially dangerous or abusive pharmaceuticals inert and safe for the household trash. • Follow any specific disposal instructions on the drug label or patient information that accompanies the medication. Do not flush prescription drugs down the toilet unless this information specifically instructs you to. • Take advantage of community drug take-back programs that allow the public to bring unused drugs to a central location for proper disposal. Call your city or county government’s household trash and recycling service (see blue pages in phone book) to see if a take-back program is available in your community. The Drug Enforcement Administration, working with state and local law enforcement agencies, is sponsoring National Prescription Drug Take Back Days (www.deadiversion.usdoj.gov) throughout the U.S.
Take them out of their original containers and mix them with an undesirable substance, such as used coffee grounds or kitty litter. The medication will be less appealing to children and pets, and unrecognizable to peo¬ple who may intentionally go through your trash. Gallatin County Law and Justice Center lobby, 615 S. 16th Ave. If you have any further questions, please contact the The Gallatin City-County Health Department’s Environmental Health program at 406-582-3120 or email ehs@gallatin.mt.gov. For more information about healthy homes and environments, go here.